I love making my own pasta. So much so that I actually own a pasta machine and buy semolina in bulk. So when I saw that this week’s Better With Veggies’ Meatless Mondays A-Z challenge ingredient was udon noodles I, predictably, was excited. Then, while browsing udon recipes I noticed that almost every recipe called for some form of stomping on the dough– I may have giggled. This was going to be fun. The process of creating the noodles is simple, but time consuming and a bit of an arm workout. I based my recipe for udon on this one from Food.com but substituted half of the white flour for whole-wheat flour. 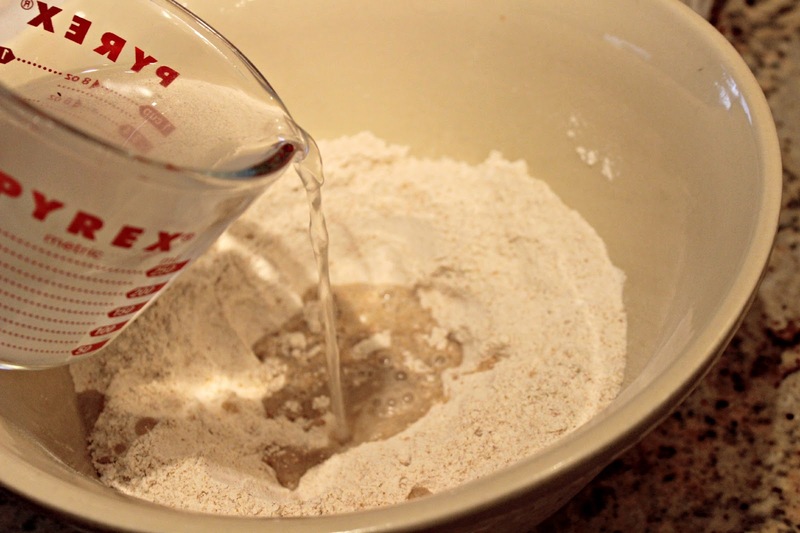 Start by mixing both flours in a large bowl and form an indent in the center. Dissolve the salt in the lukewarm water and slowly incorporate the water/salt mixture into the flour. 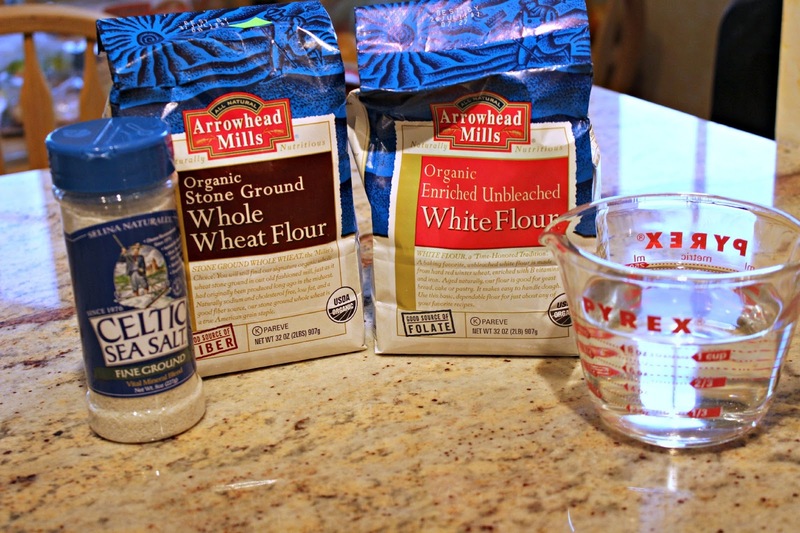 The recipe this is based on calls for a single cup of water, but because wheat flour is heavier than white flour you may need to use more water to incorporate all of the flour. I ended up using about a cup and a quarter. Kneed this dough for about ten minutes and form into a ball. Place the dough ball in a (very) large plastic bag. I used a 2.5-gallon Hefty bag. Wrap the bag in dishtowels and hop! Tinkerbelle was very interested in this portion of the recipe and wanted to help. Tinkerbelle Is Confused P.S. like my socks? As you flatten the dough take it out of the bag, roll it out with a rolling pin, and accordion fold it before you place it back in the bag to stomp again. Repeat this process three to four times. Let the dough rest for 3 hours. Stomp the dough one last time, and try to flatten it as much as possible. Place this flattened dough on a floured surface and roll out to how thick you would like your noodles to be. Please note that noodle thickness will alter cooking time. 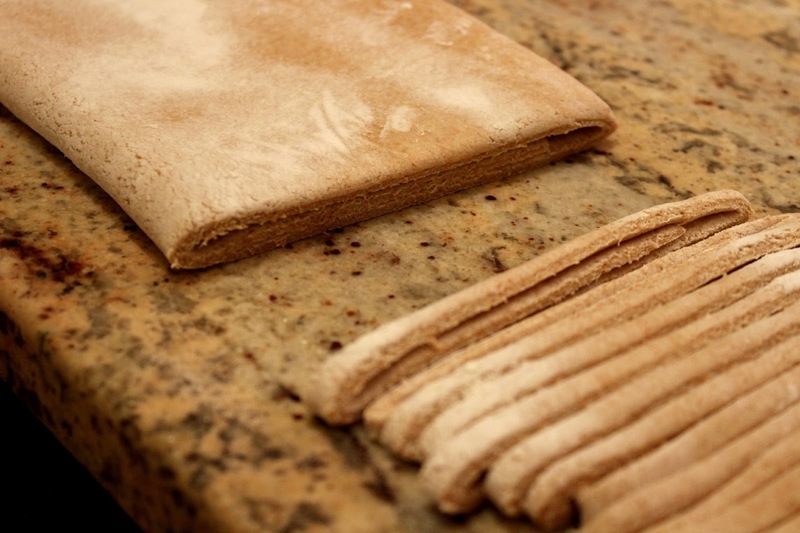 Fold your rolled out dough in thirds and cut into your noodles, as thin or as thick as you would like them. These noodles are incredibly filling so I recommend cutting the noodles rather thin. 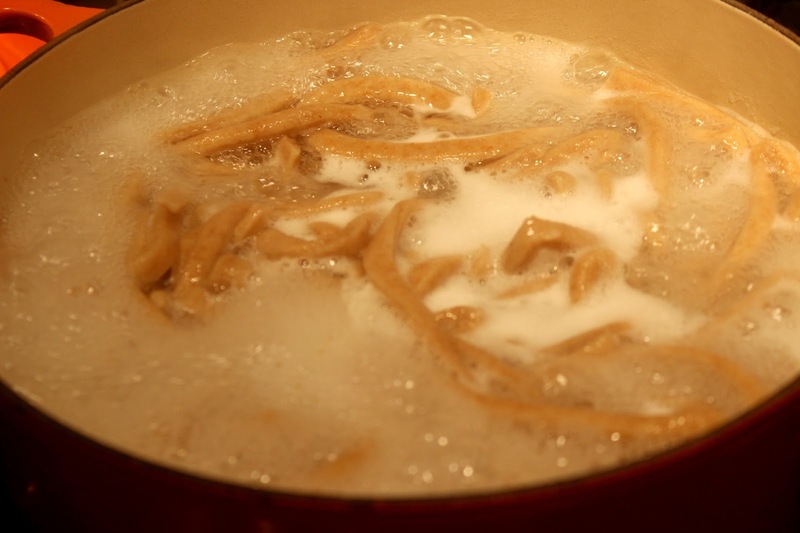 Place the noodles into boiling water and let boil about ten minutes. Depending on the thickness of your noodles this might be longer or shorter. If following the Food.com thickness it should take about seven minutes. Mine took ten. Using a preheated pan (a wok is easiest) with some extra virgin olive oil toss in sliced onion- let these start to brown on medium heat. 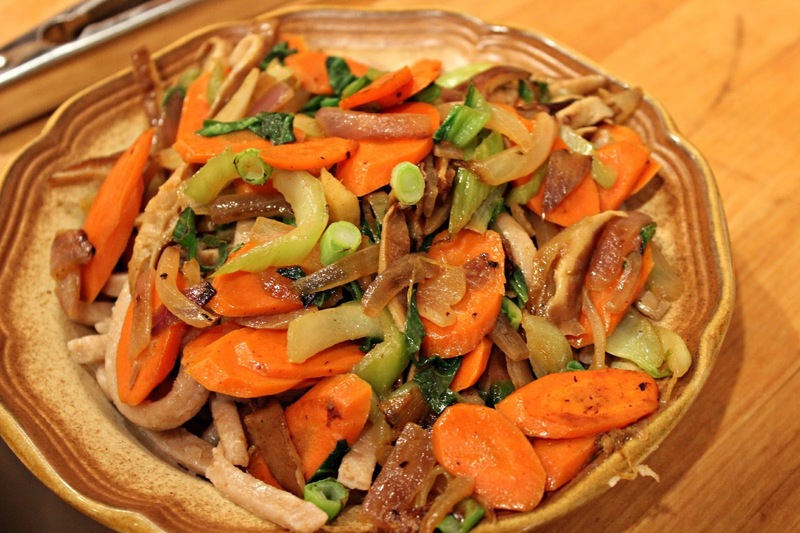 When the onions start to become translucent after a few minutes add sliced carrots, mushrooms, bok choy stalks, and ginger medallions. 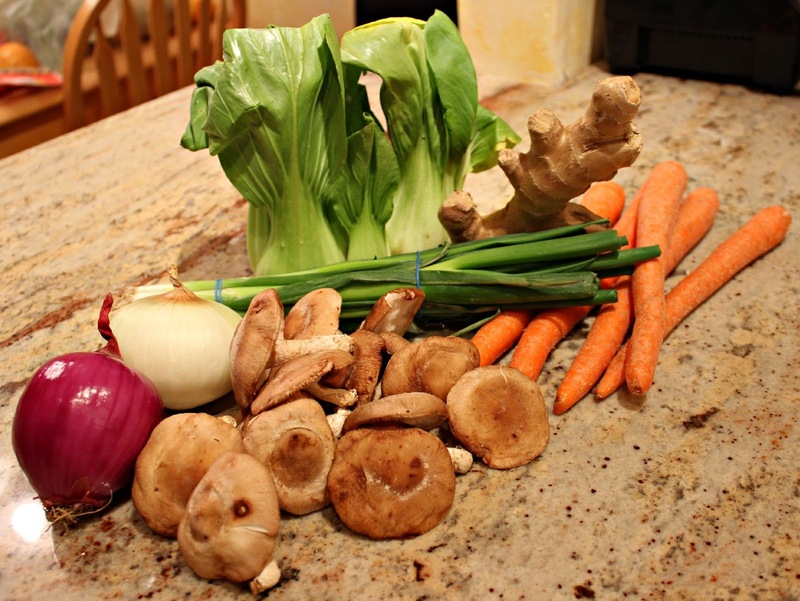 Let these begin to soften and add the boy choy leaves and green onion. I like my veggies still a bit crunchy in a stir-fry, but if you prefer them softer, wait a few extra minutes before adding the bok choy leaves. Remove the ginger medallions (unless you like the surprise burst of heat when you accidentally chomp on one) and serve over the fresh udon! What is your favorite noodle dish? Let me know in the comments! OMG! That looks really tasty! Wow, I'm so impressed you prepared your own udon! I'd really like to try it, too, though am a bit intimidated and also think it might make too much for me living on my own. How many do you think the udon itself would serve? While I haven't had it in ages "Käsespätzle" – a traditional German dish – are sooo good. If you like cheese you'll like that dish :). I LOVE that you made your own… I was going to attempt it, but… ran out of time, really. homemade noodle are the best! your resulting dish looks delicious! It looks yummy and healthy!!! And I can't take my eyes from your doggie ,it just too cute for word!! This looks so yummy, great blog you have, lets follow each other ? let me know !! awww such a sweet dog! 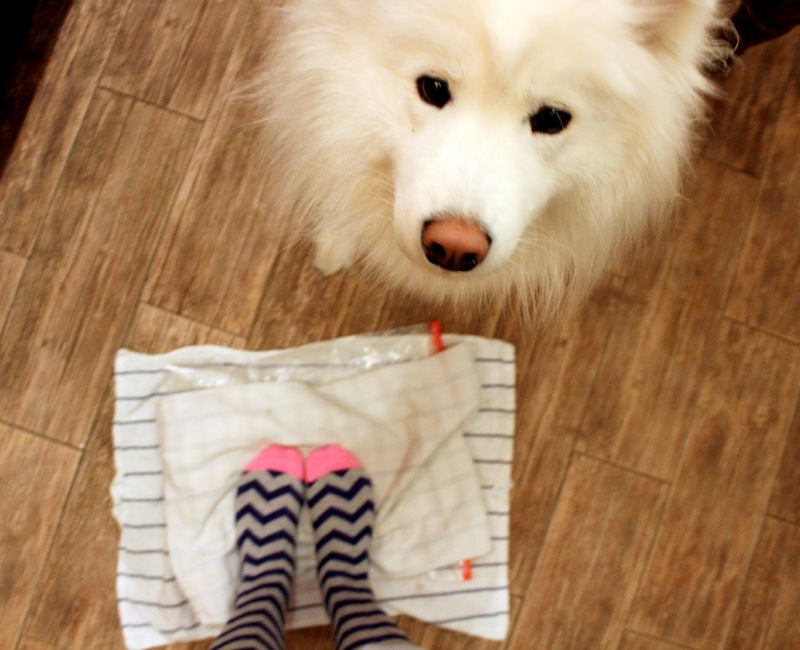 great post, love ur blog I'm ur new follower! don't forget to visit my blog too! That looks so healthy and yummy! hi, what a lovely blog u have! BTW, thanks for dropping by in my blog. iam your new follower now in bloglovin' and gfc, hope u follow me back. Wow, I'm so impressed that you made it from scratch! I made pasta from scratch in a cooking class a few months ago and I can't wait to get a pasta maker and do it again! I admire you so much for making your own pasta! I bet it's so tasty and so fresh! This recipe sounds particularly yummy. I'll have to try it minus making my own pasta since I don't own any pasta making parts! Oh wow, this looks absolutely delicious! 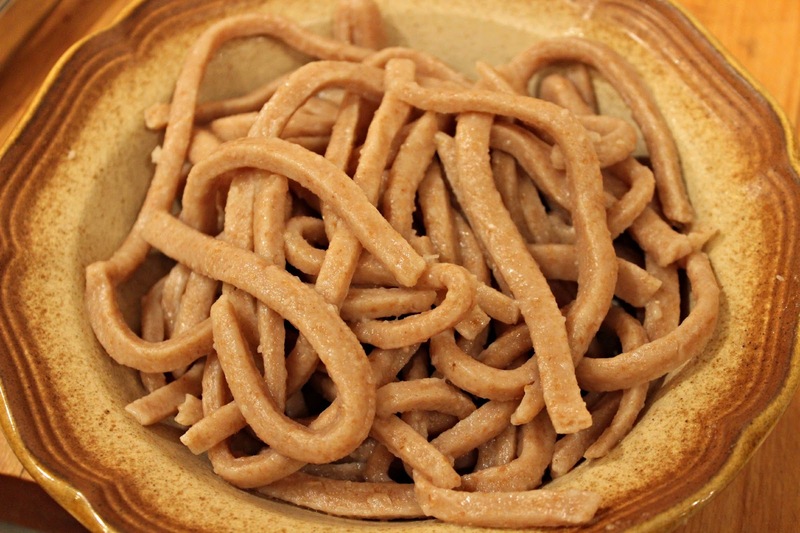 You made your own whole wheat udon noodles! That's amazing! Stomping on the dough? That is fantastic – how fun is that?! Love your creation and the homemade udon noodles. Awesome! looks healthy and delicious! can't believe it is all from scratch! great post honey, i want to eat the same hahah! WOW! Major props for making your own noodles. This looks amazing, but way beyond my cooking abilities…! this looks so yummy! can't believe that you make your own pasta! Wow! This looks amazing! Must have been so yummy. That's so cool you make your own pasta, I have never tried to before but the stomping sounds fun! Your dog is so cute too!